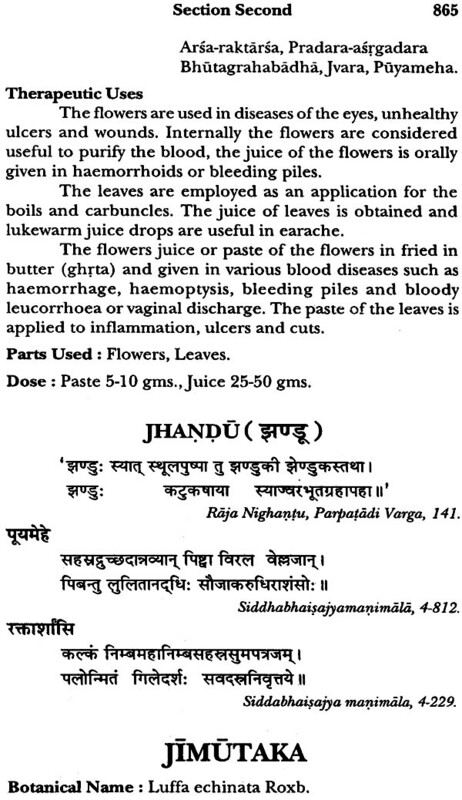 This work deals with indigenous material medica, pharmacology and therapeutics of Ayurveda with special reference to drug obtained from vegetable origin or the plant drugs belonging to Indian medical science. 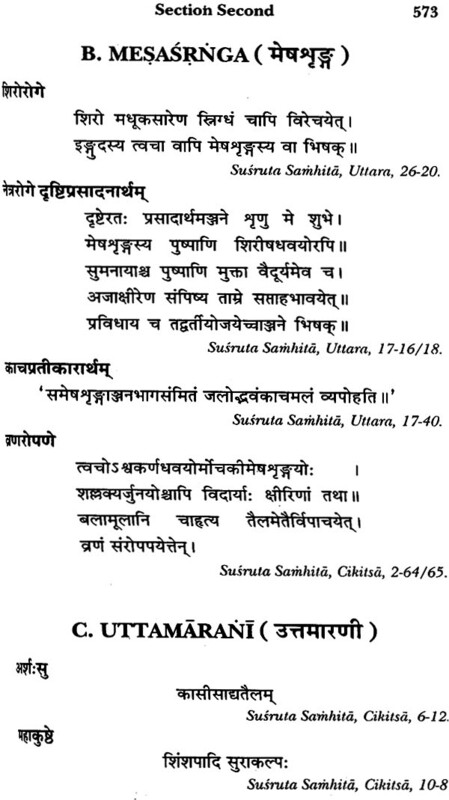 It is the first work of its knid, fulfilling the need and demand in India and abroad. 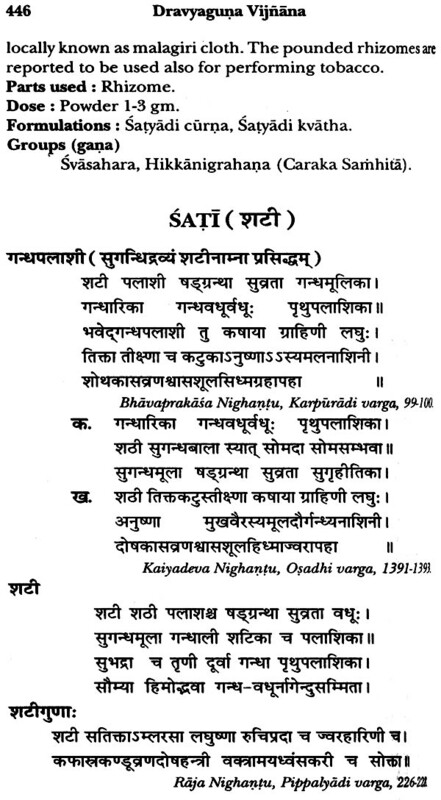 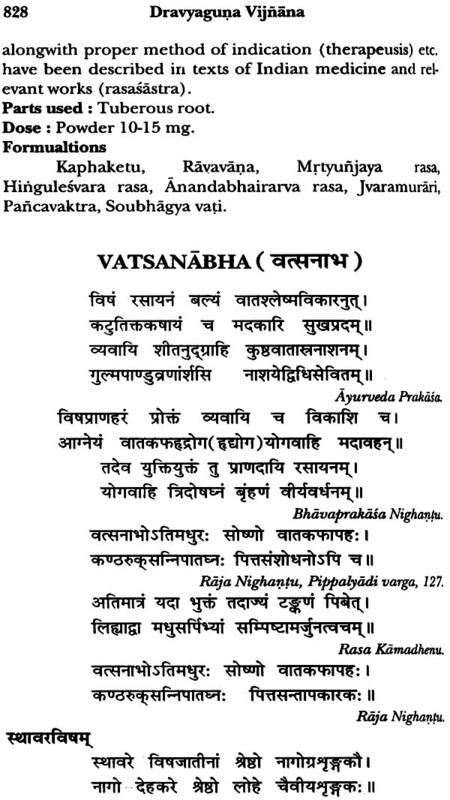 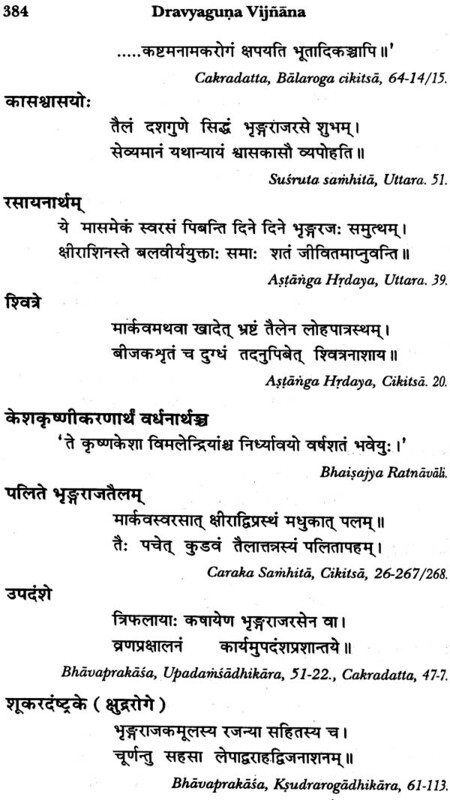 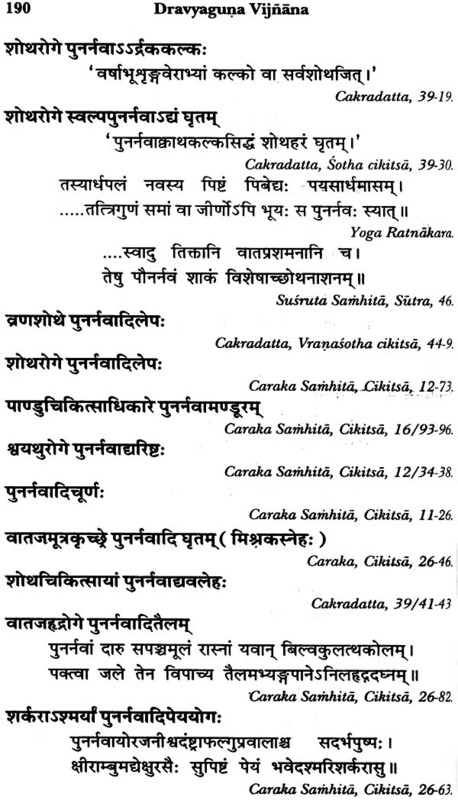 The work is in English language supported with Sanskrit text (with proper reference). 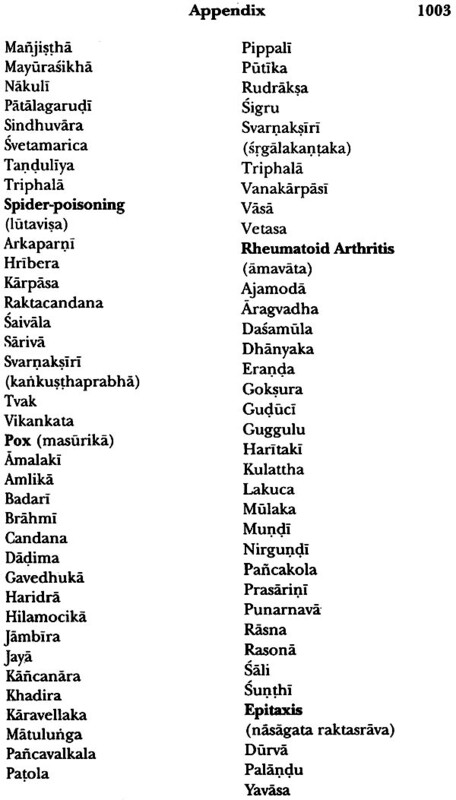 This work has been presented in three parts enumerating more than 500 drugs, forming three volumes: First (A-J), Second (K-N) and Third (P-Y), brought our during the period from 1998-2001. 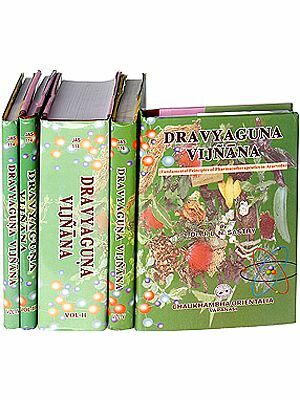 The work covers all the relevant aspects of drugs generally dealt in the sohere of Dravyaguna Vijnana of Indian Materia Medica. 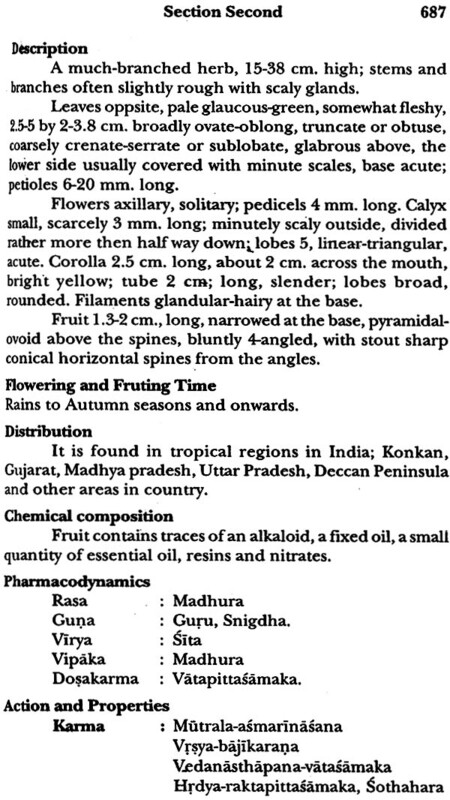 Being the first volume its section I deals the classification of drugs and main section II entirely covers individual drugs which are to continue in further volumes. 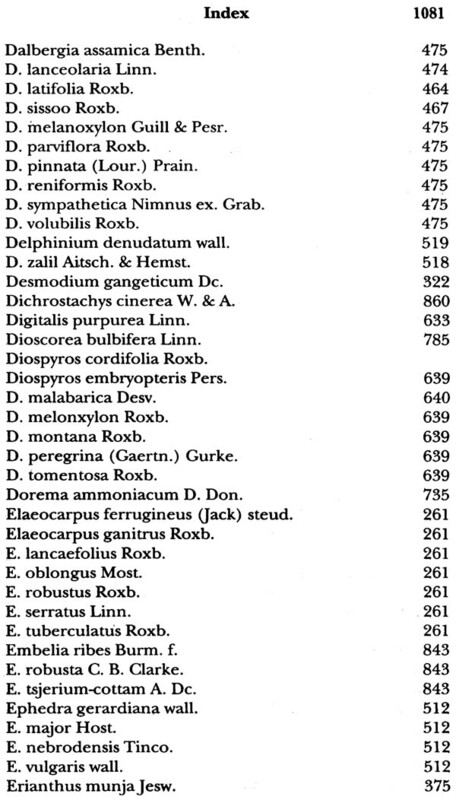 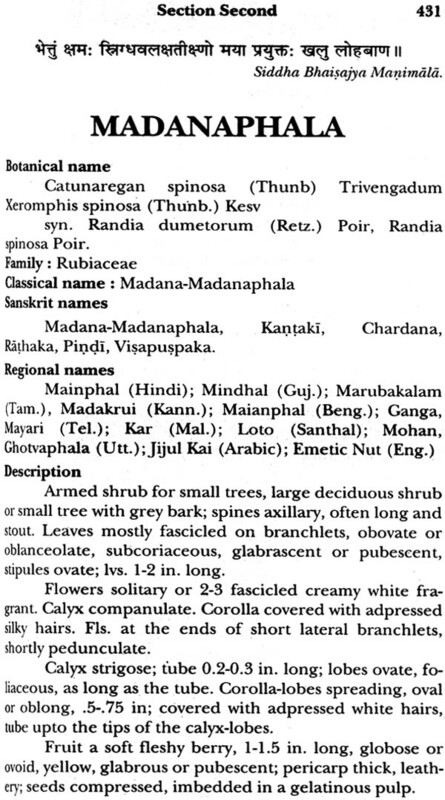 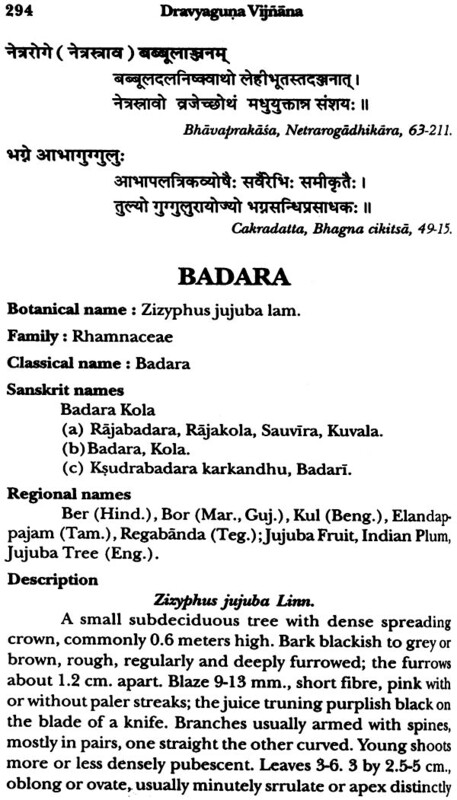 The glossary of technical and medical terms related to drugs and Dravyaguna Vijnana is given; and the indices of botanical and Sanskrit names along with other lists have been provided. 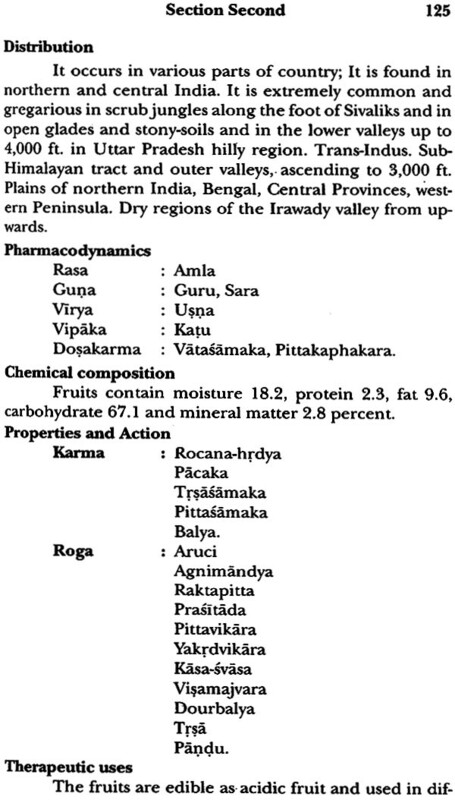 The subject matter drugs and topics as required in the subject course of Dravyaguna Vijnana under curriculum of Central Council of Indian medicine and other studies needs have been kept in view. 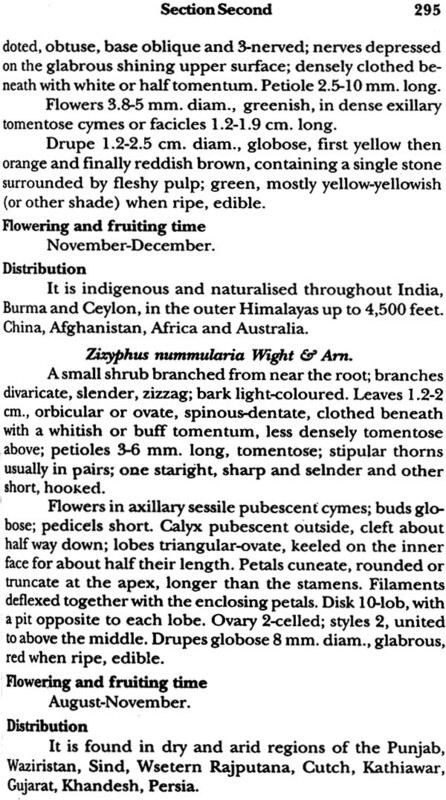 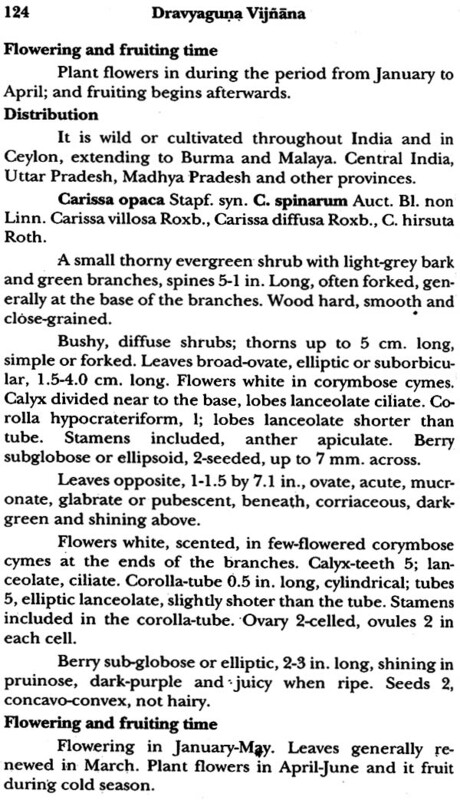 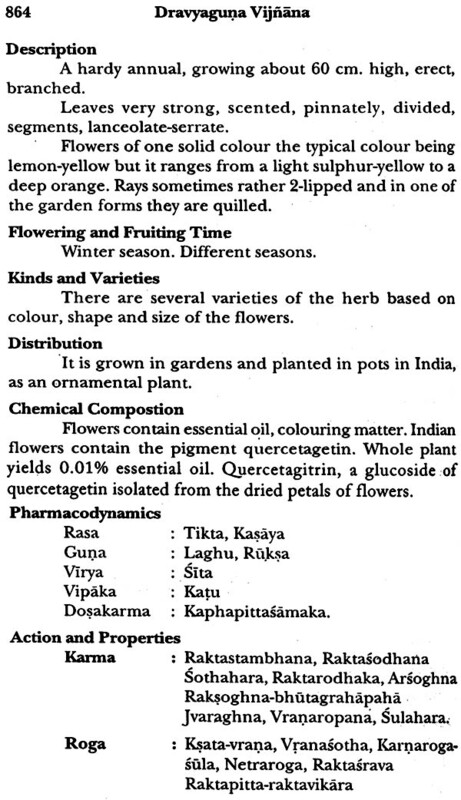 The work is useful as a text book of Drvyaguna course book ( for graduates as well as postgraduate), reference book for higher studies and handbook of plant drugs used in Indian medicine for research workers, scientists, physicians, teachers, pharmacists, manyfacturers, research and educational institutions libraries, botanical researches, medicinal plants scientists, multidisciplinary scientific researchers of herbal drugs, medical and pharmaceutical institutions, hospitals, universities, Ayurvedic institutions and all the laymen interested in Ayurvedic and drugs. 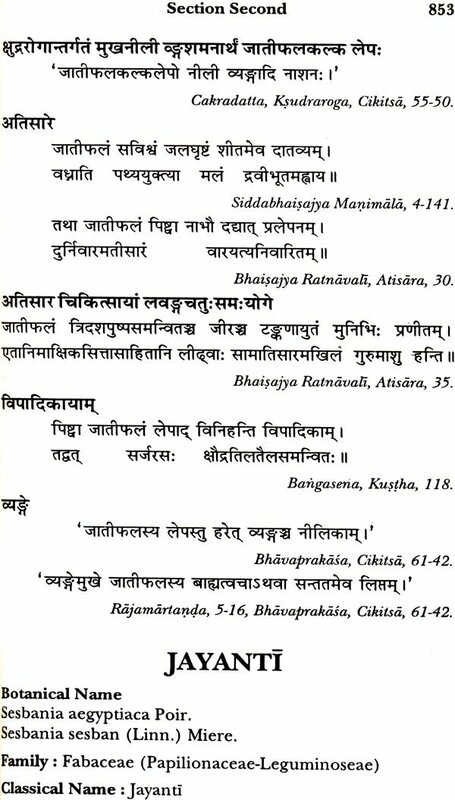 The material medica and pharmacology are basis of medical science which needs basically the knowledge of drugs comprehensively for the purpose of therapeutics, pharmaceutics and all the objects of preservation of health, prevention of diseases and curative measures. 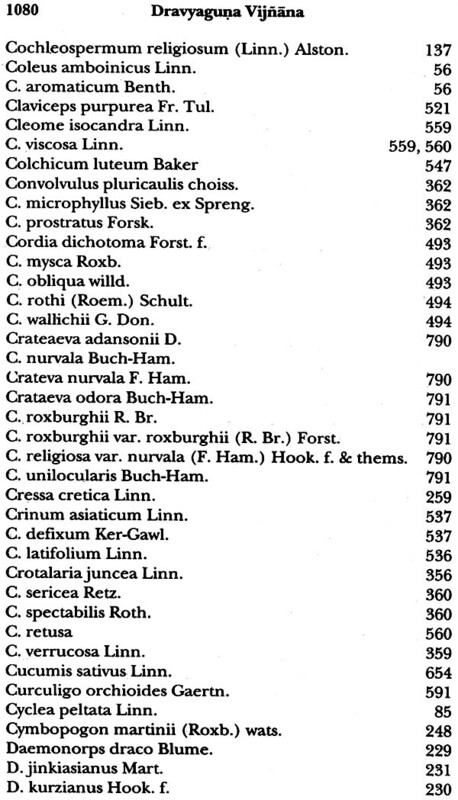 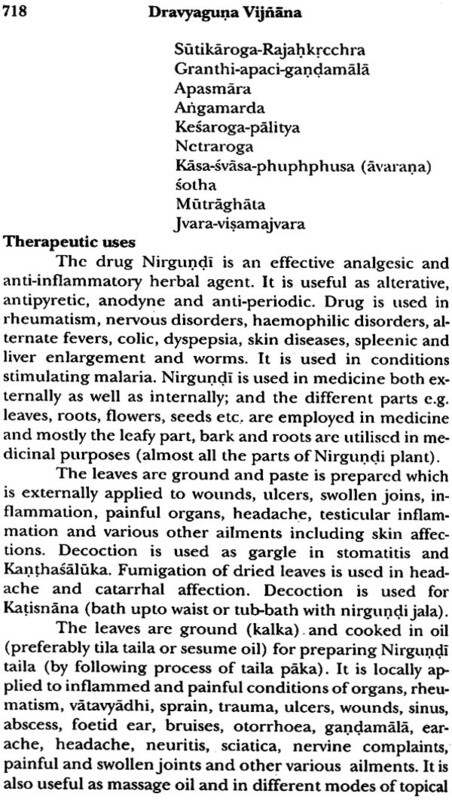 Henceforth the study of Nighantu has been enjoying pivotal place in ancient school of classical text including branch of Dravyaguna Vijnana to deal with the drugs has been gradually developed for the study of identification, nomenclature, therapeusis and various other aspects relevant to perfect understanding of drugs recommended for therapeutical uses in medical practice of Indian medical science. 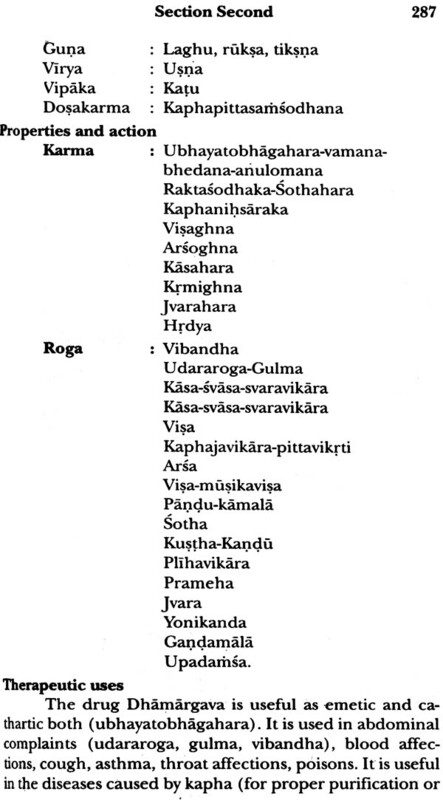 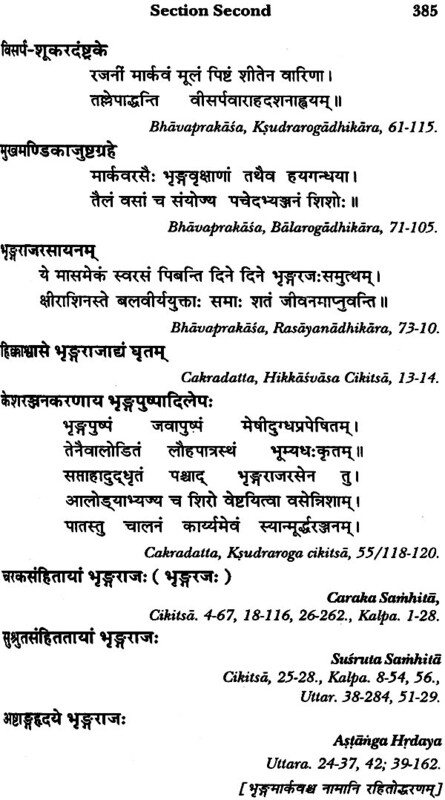 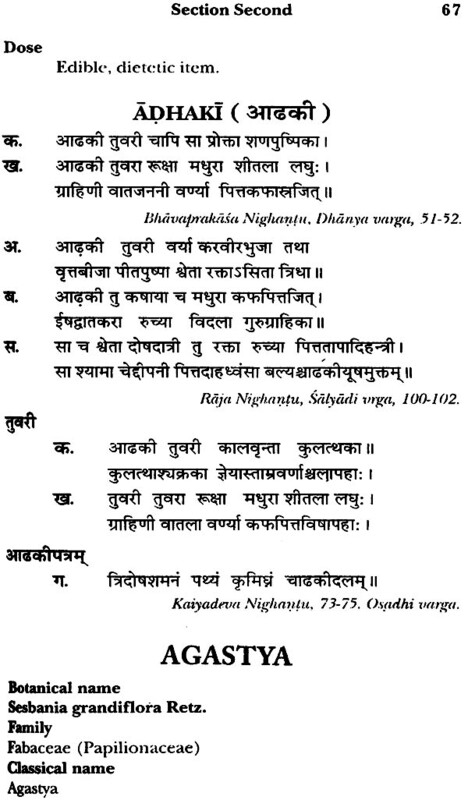 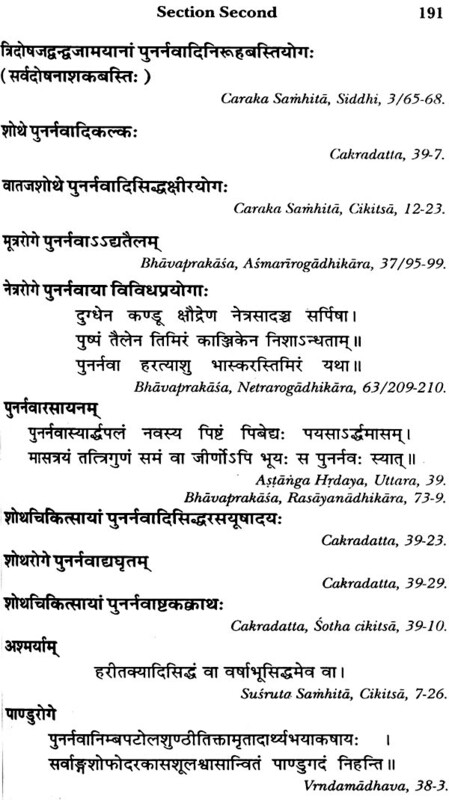 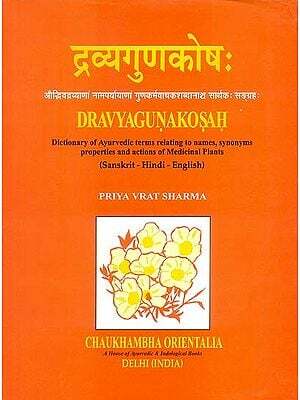 The present work on Drvyaguna Vijnana is foremost endeavourment towards the consolidion, compilation and presentation of material relvant to the selected drugs in English medium with Sanskrit texts, by combining and maintaining principles of Ayurveda as such as ancient as well as modern knowledge in a systematic manner and scientific way, in order to provide standard work on Dravyaguna Vijnana. 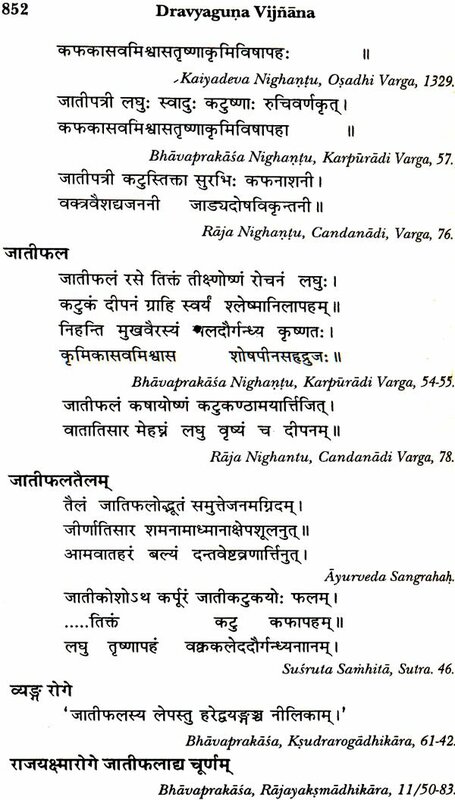 This may prove an encyclopedic manual or handbook on indigenous drugs for finding all in one in the ares of study and use of drugs. 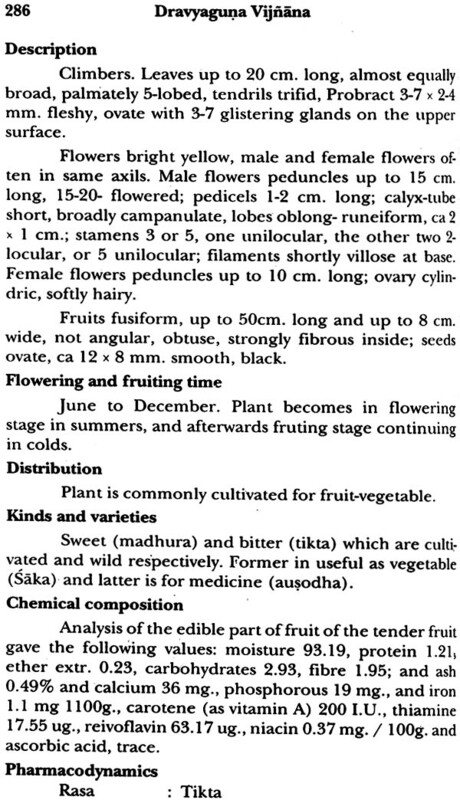 These aims and objects of the work make it a unique approach and work for the first time in the field of Indian system of medicine. 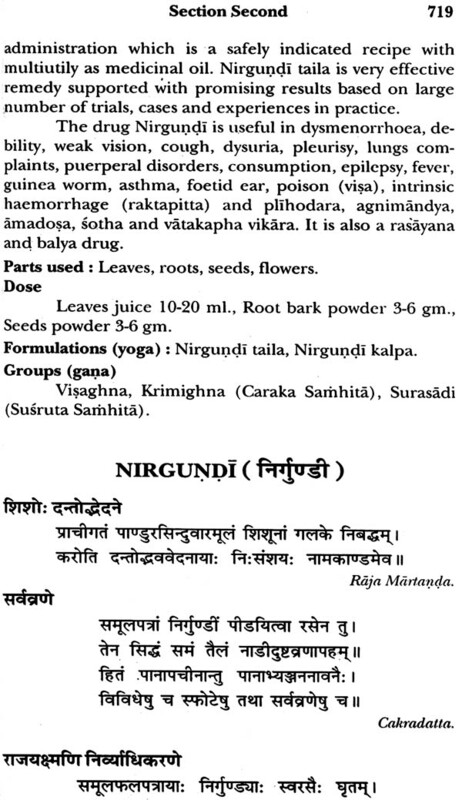 There are various works on Nighantu and different kinds of works on Drvyaguna Vijnana which are supported with several works on indigenous drugs, herbal drugs and medicinal plants in general. 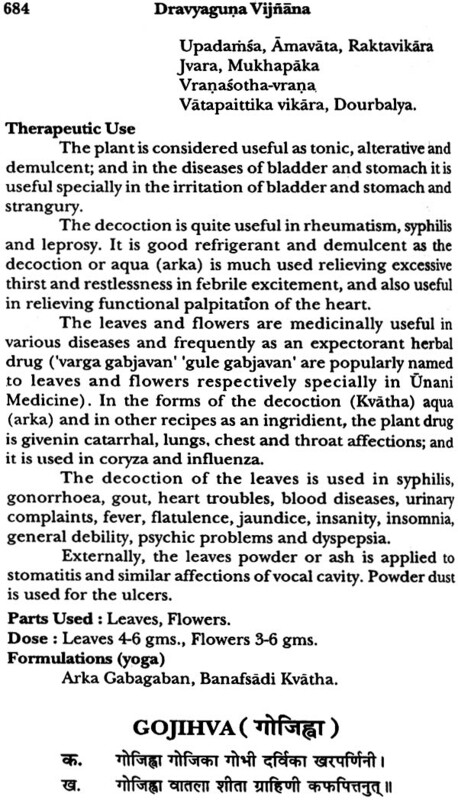 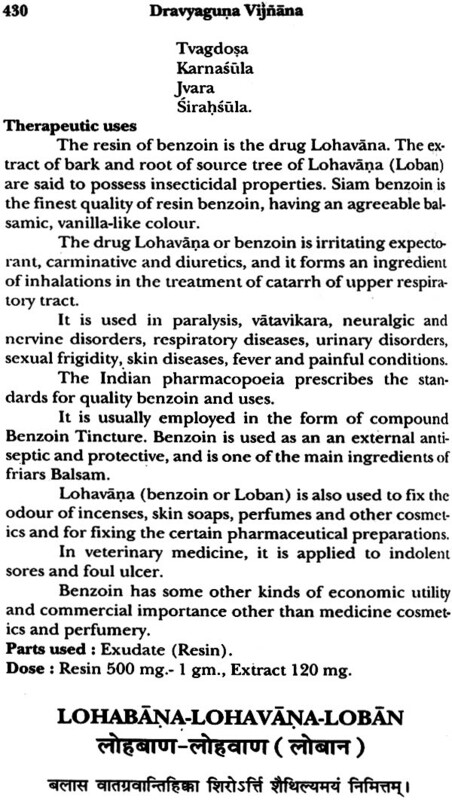 The utmost necessity of a perfect and exhaustive work on indigenous drugs of Indian medicine has been experiencing for catering the need of students, research workers, teachers, scientists, physician, manufacturers, general readers and all the other interested in the knowledge and uses of drugs in present days of modern advancements and era of awakening towards Ayurveda, herbal therapy and natural products, not only in India, but throughout the world. 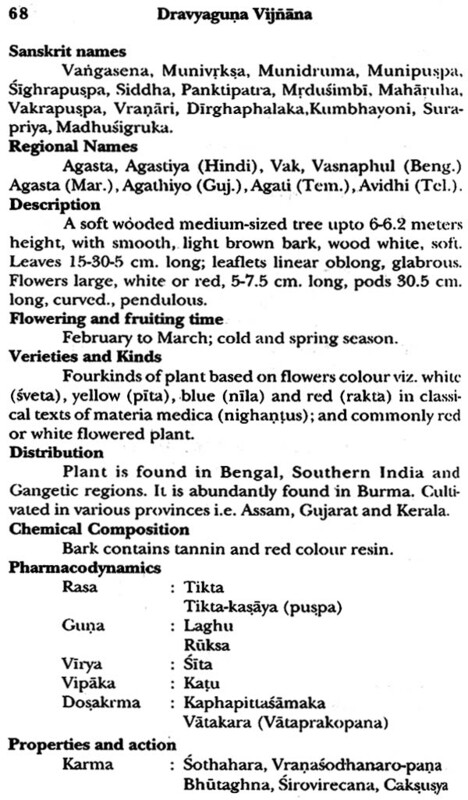 In this way the present work encompasses all basic ancient knowledge and modern development on the drugs and informations on the work has ben presented also with the aim to provide a text book and reference book for the syllabus course of graduation also post graduation course as well as higher studies in the subject in country. 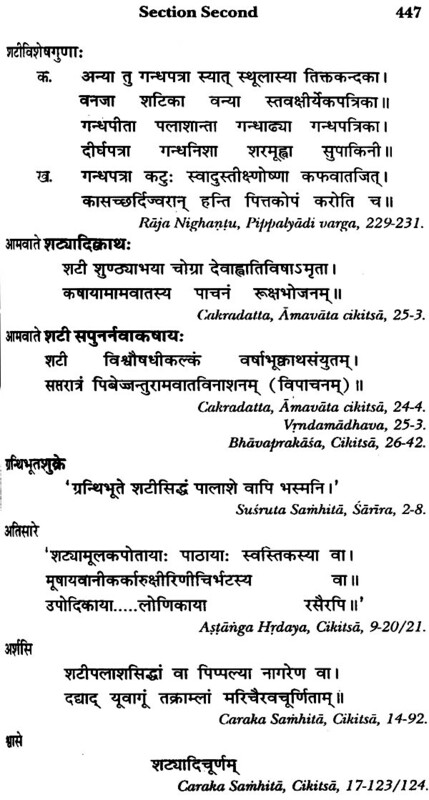 The media and style of the work may help students and teachers of modern progressive interests in various regions of country; and it may also be useful for the study of Dravyaguna and Ayurveda including practice of traditional medicine in foreign countries where such work is in a great demand. 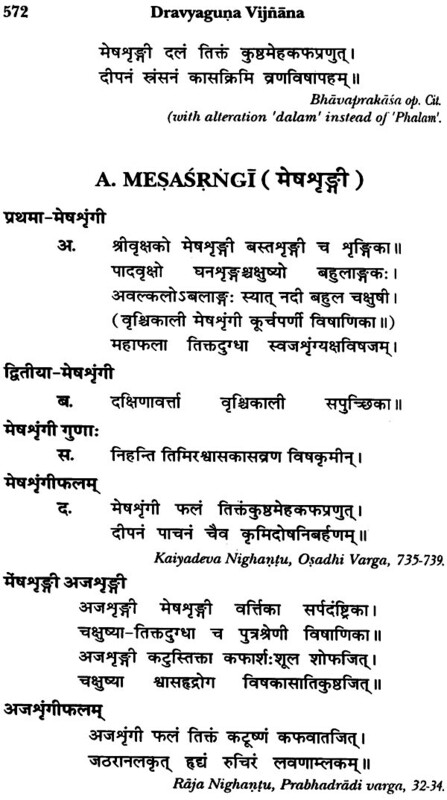 Therefore the work is presented as a result of best efforts and with full confidence of substantial contribution in the areas of Drvyaguna Vijnana for study extension and development for the cause of science and Indian knowledge with a view of faster promotion, multi dimensional ramification and universalisation of Indian medical science.